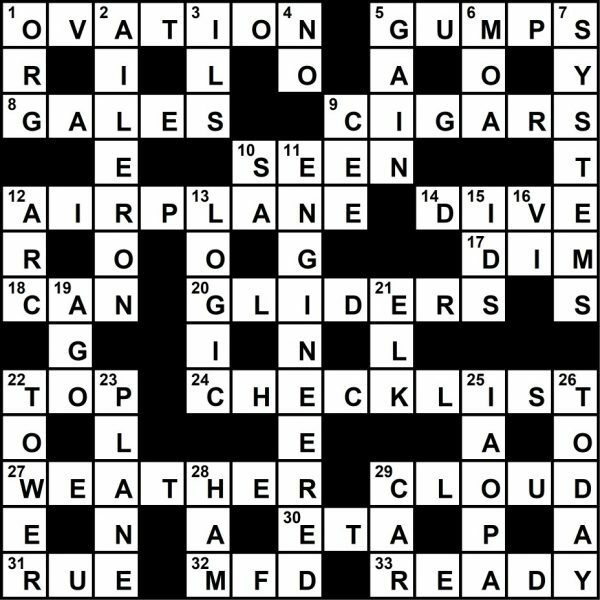 The answer key for the crossword puzzle found in the March 2019 issue of Plane & Pilot. 30 What the relatives want to know. 3 An approach that works when GPS is out. 6 Airspace established to segregate non-hazardous military traffic, abbr. 25 Worldwide organization for airplane organizations.